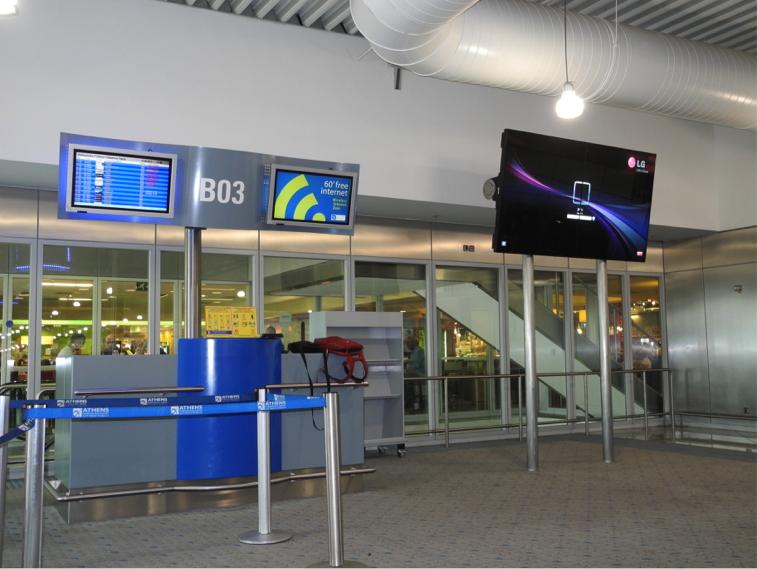 FLEXNET Specialists in FIDS Monitors, Digital Signage, Videowalls and Custom IT applications was formed in early 2004 by professionals with long-standing experience as an Integrating Company. One of Flexnet’s main activities is Telecommunications and Information Technology mostly applied in airports, railway stations and public transport systems. FLEXNET as an authorized special dealer of LG Electronics for the implementation of FIDS Monitors, Digital Signage, Videowalls and Custom IT applications and uses the professional displays and hardware technology of LG Electronics. FLEXNET is an Integrating Company which has implemented several cutting edge technology projects mainly but not exclusively to Athens International Airport from 2004 to date, based on best technical solutions, providing equipment from leading manufacturing companies ensuring quality, support and maintenance. Regarding FIDS projects we recommend Monitors Software designed and developed by FLEXNET (home-grown application) and Hardware products from LG electronics one of the leading companies worldwide. LG Electronics is the leader in Digital Signage Monitor Market, producing advanced and innovative hardware and software such as IPS technology Panel. Ds.A.S (Digital signage Administration System) is an application developed exclusively by FLEXNET, born from the need of an accurate and easily managed tool for the administration of a digital signage infrastructure. The scope of the Ds.A.S application is the provisioning of a complete tool for the real time administration and management of all the active equipment connected to a digital signage system (such as monitors, media players, LCD matrixes, etc.). Furthermore, the Ds.A.S, contributes to the protection of the customer’s investment and also to the protection of the supplied services to the passenger. Ds.A.S application is designed to support any, manufacturer independent, digital signage device that uses common or open communication protocols such as TCP/IP, Modbus, RPC, RS-232/485 etc. Also, any open source operating systems such as LG’s WebOS are supported with a compatible Ds.A.S application. Ds.A.S is a web based application with a user friendly interface. The user of the system uses a graphical layout for quick and simple operation and status acknowledgement. 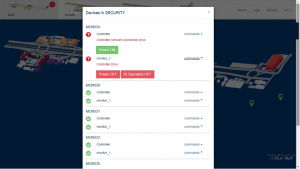 The list based and map based sorting/placing of the monitored equipment helps the user to easily navigate and manage the entire digital signage infrastructure. Ds.A.S application, based on HTML5, is compatible with any device or Operating System (PC, tablet, or smartphone) and can be easily accessed inside or outside the internal network. Graphical display of alarms with colour code (red-orange-green) and real time alarm notification (Graphical, e-mail, SMS). Grouping of the devices for accurate management and fault diagnosis. 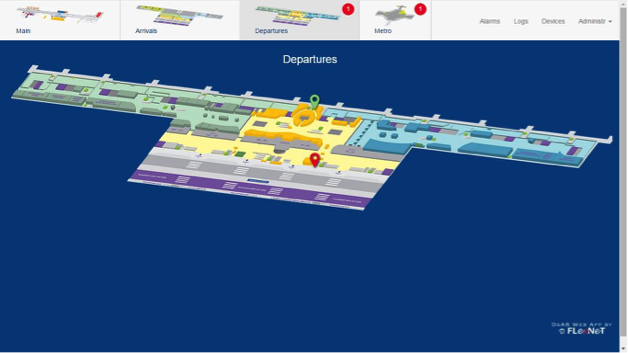 Easy and efficient interface accessible from any device and web browser. Three different user groups with specific privileges and specific device area assignment. Protection of customer’s investment and of the supplied services to the customers. Protection of equipment’s from potential damage by their early detection of possible failures. The Ds.A.S software was developed by FLEXNET and can provide specialized solutions for each customer according to customer’s specific requirements. In cooperation with the customer and following an analytical detection of the customer’s needs, FLEXNET will design, implement, improve, test and deliver the right product personalized to the customer’s needs. Multi-protocol support allows the management and supervision of any device from a single Web application. FLEXNET is also specialized in Video Wall construction. No matter what the video wall size requested from smaller to ultra-large sizes, for any type of installation, wall, floor or ceiling mount and for any shape, a custom construction will meet the needs of any architectural design. 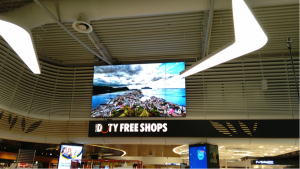 In 2015, FLEXNET constructed the biggest commercial LG video wall in Greece. With the use of 25 (5×5) 55’’ monitors, a 275’’ unique display of 21 m2 has been created.